Vaillant is celebrating 10 years in the commercial boiler market. Since launching its first technology solution in 2006, a combination of expertise, a strategic commitment to ongoing product innovation and a desire to satisfy market challenges, has seen the company establish itself as a leader within an increasingly competitive and rapidly changing sector. Today’s commercial boiler sector is very different to the one Vaillant encountered when it took the decision to apply its domestic boiler experience to the commercial sector, as John Bailey, sales director – Commercial & Renewable Systems for Vaillant, explains: “The commercial boiler market in the middle of the last decade was characterised by product solutions which were mostly inefficient, inflexible, expensive, specialist and complex. This is in stark contrast to the situation today where Vaillant’s commercial boiler offering is broad, highly energy efficient, scalable, easy to install and operate and can reduce specification risk. Meeting the challenges laid down by regulation has impacted greatly on the strategic direction Vaillant’s commercial boiler journey has taken since 2006. 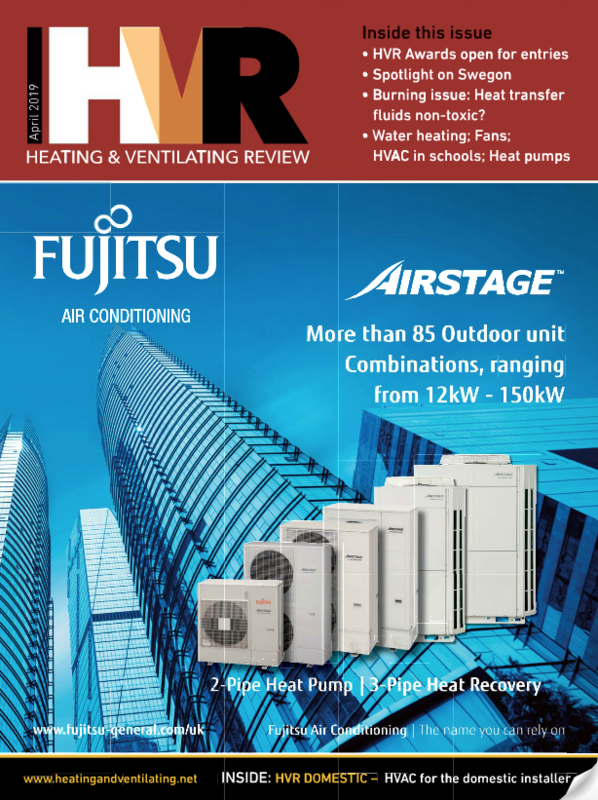 Important changes a number of years ago to Building Regulations for the domestic market also influenced the commercial boiler market at the same time, with a desire to see high energy efficiency solutions viewed as increasingly important. Part L2 of the Building Regulations became a minimum standard in 2010 and coupled with the influence of BREEAM technical standards, this has ushered in an era where the specification and design of energy efficient building solutions to support a sustainable approach to energy consumption has become key. 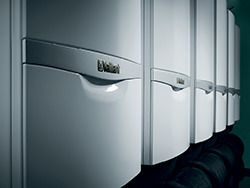 As a keen advocate of energy efficient solutions, Vaillant has been able to successfully meet the requirements of regulators and building owners who, today, view optimised energy performance and lower energy consumption as critical pre-requisites when it comes to important decisions for new or retrofit boiler installations. Aside from delivering outstanding energy efficiency credentials for its products, Vaillant has striven to ensure it’s at the forefront of innovative thinking. Moving away from the old heavy cast iron non-condensing products that were dominant previously, the company has pushed the development of a holistic ‘system approach’ to commercial boiler installations. Dealing with issues such as overcoming the impact of system water quality, an overall system vision (comprising boiler, flue, cascade rig, low loss headers, filters, plate heat exchangers and controls) now lies at the heart of the Vaillant offering. In addition, with wall hung boiler solutions delivering a smaller product footprint as well as the ability to be installed on cascade rigs to scale boiler systems up according to output need, today’s heating and hot water solutions offer a level of flexibility, scalability, cost and risk reduction and choice for installers and building owners, that was unheard of just a few years ago. 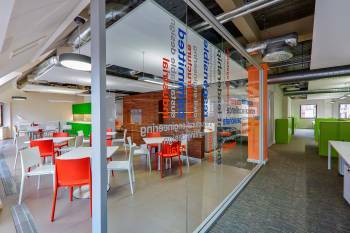 The impact of Vaillant’s pioneering wall hung commercial boiler solution is also far reaching for installers. Being closer to solutions for the domestic boiler market, Vaillant’s ecoTEC 46 and 65kW boiler models have opened the doors for increasing numbers of installers to enter the market, confident they can provide a competitive and compelling service offering to potential commercial customers. With product control a key component of any decision to specify a commercial boiler solution, the innovation seen in the controls arena has kept pace with customer expectation. Digital technology means today’s controls are easier to use and lower in cost. This, for example, has seen significant reductions in the cost of controls when compared to the high prices that were commonplace in the last decade. In addition to leading the way in product design, Vaillant has also remained focussed on ensuring that it continuously offers a well-rounded and top-level service, tailored to meet the ever-changing needs of its customers. John adds: “Product design is not the only thing that has significantly developed over the years. The demands and needs of our customers have, and continue, to change. It is absolutely vital that if we are to help support the working lives of our customers, that we also evolve our service to suit. With enhanced technology solutions continuing to evolve - including the launch of new ecoTEC 46 and 65kW models later in 2017 - Vaillant is not complacent and intends to continue to drive forward and deliver energy efficient, flexible, cost competitive and high performing commercial boiler system solutions.